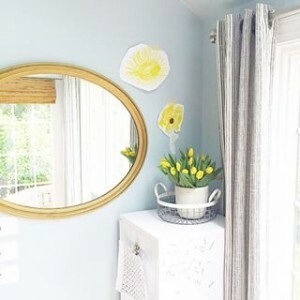 If you want to perk up your room but don’t want to spend too much money, then let me tell you that you can perk up your room by simply changing the paint. Try one of these 7 Paint Colors to perk up your room (all paints are from Sherwin Williams). “Upward” (#6239) is the most perfect pale, icy blue color. It looks amazing mixed with crisp white and soft tan. It’s a fabulous color for a soothing bedroom or a relaxing bathroom. “Convivial Yellow” (#6393) is a really pretty gold. This is a great color for an entry hall or a kitchen, it’s a soft but beautiful yellow and it’s cheery without being too much color. 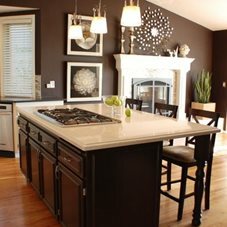 It’s a warm inviting color but because it’s not too bright it can still act as a neutral and it can tie other colors together. 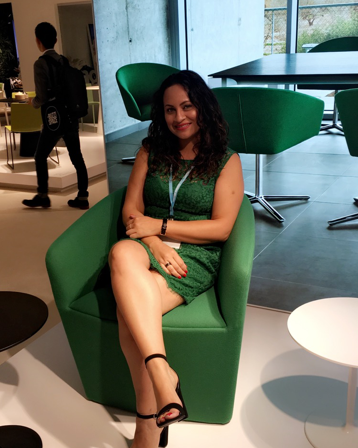 It looks great paired with white furniture or black furniture. “Tidewater” (#6477) is an elegant and soft aqua color. This shade is beautiful and very easy to use it with white furniture and mirrored accents for a glamorous look. “Red Bay” (#6321) is a stunning, rich red that is bold but actually also soft at the same time. It’s a beautiful color for a dining room. 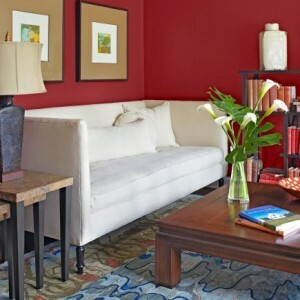 This red wall color looks beautiful paired with pine wood or oak wood. “Grassland” (#6163) is a pretty soft sage green, it’s rich and subtle and not too overpowering. It’s a great choice for most rooms in your home and it will also look great in your dining room, living room or kitchen. 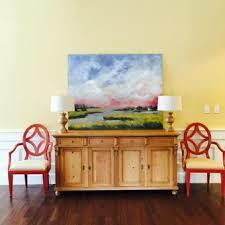 This color looks great with all wood finishes and it also looks modern when paired with white. “Black Bean” (#6006) is a rich chocolate brown. Try painting one accent wall in a room this color, maybe the wall your bed is on in your bedroom, or a wall your sofa or fireplace is on, and paint the other three walls a soft neutral tan or cream. “Essential Gray” (#6002) is a soft and elegant gray that is ver trendy in the interior design world. This gray would be perfect in a master bedroom or a living room. 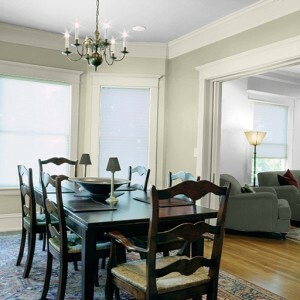 It really shines when you pair it with white crown molding and trim in a room. 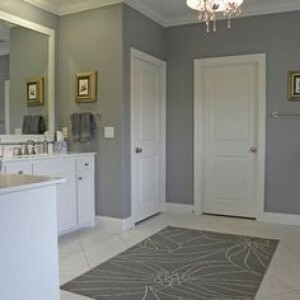 Gray has become a new neutral and this color is a great way to introduce it into your home. 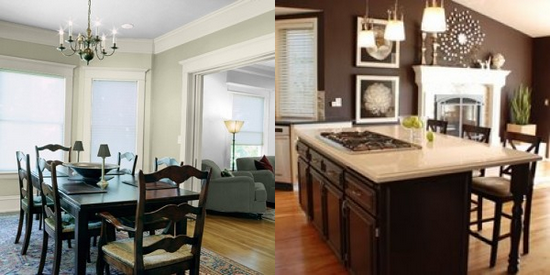 Below are some samples of the color and how it will actually look in a room. Let me know which color you decide to use for your home! If you need assistance in choosing the perfect color, call Studio 9!